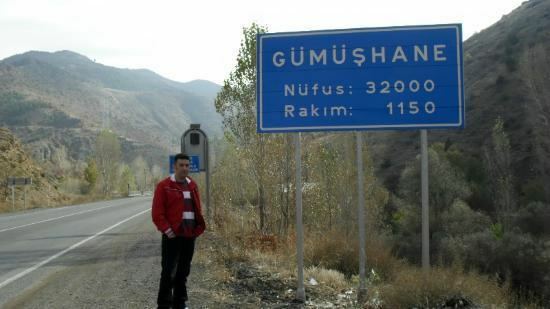 As for the name of the city during the Ottoman period, Greek-speaking population was also using the name Gümüşhane (Γκιμισχανά and Κιουμουσχανά) but, in the first decades of 19th century, the hellenized form Argyròpolis (Αργυρόπολις, from argyros "silver" and polis "city") was established. Gümüşhane has a rich historical background so there are many historical places, mosques, churches, castles. Ancient city of Satala in the modern village of Sadak was the most important military camp of the ancient Roman Empire in the east. This place was ruled by the Hittites, Assyrians, Urartu, Persians, Pontic Greeks, Romans, and Byzantines. Today, rests of the Sadak village is protected by the Ministry of Culture and Tourism. In addition, Süleymaniye Mosque is in the previous Gümüşhane settlement and it was commissioned by the Ottoman sultan Süleyman the Magnificent. Küçük Mosque and Çit Village Mosque are some of other popular mosques in the city. Besides, there are numerous churches within Gümüşhane. Santa Çakallı, Santa Terzili, Kalur Rock, Samamoni, and Theodor Churches are some examples of historical churches in Gümüşhane. There are numerous large and small caves due to the geological structure of Gümüşhane. Karaca Cave is the most popular in Gümüşhane due to its some specific characteristics. The total length of the cave is 150 meters. It is a fossil cave and is located between Torul and Gümüşhane. The waters leaking from the crack system cutting each other. Formation of interesting stalactites, stalagmites, columns, and travertine pools are some features of Karaca Cave. Gümüşhane is also popular with plateaus hidden between the forests. Zigana, Taşköprü, Artabel, Şiran and Kalis plateaus are some of them and summer festivals are organized every year. During the medieval period one of the most important guardians of the road connecting Trabzon to Erzincan was the Byzantine fortress located about 2 kilometers northwest of modern Gümüşhane. An archaeological and historical assessment of this site as well as a scaled plan were published in 1985. The impressive circuit walls and defenses are clearly evident at the accessible west approach to the lofty outcrop. In addition to several rooms and cisterns, the castle has two chapels; the easternmost was once covered by a dome. Many native tourists join these festivals to entertain and also to shop some regional items or food. Pestil and köme are renowned desserts of Gümüşhane, they are made from mulberry, honey, nut, walnut and milk. In addition to köme and pestil, rosehips, apples, and walnuts are some common natural food and by means of them many different desserts are made in Gümüşhane. It has a rich food culture; mantı, lemis, erişte, borani, kuymak, evelek dolması and siron are some of well known food in Gümüşhane. The rise in wealth and abundance soon brought positive changes to the communities. From the beginning of the 18th century new schools were opening, and from 1723 the Frontistirion (Greek Tuition Centre) of Argyroupolis was in full operation. The tuition centre became an educational institution and spiritual centre of the region. In 1650 the diocese was elevated to archdiocese status, and hundreds of churches and temples were built. New mines rich in minerals were discovered in Ak-dag Maden and Argoni, which resulted in a large exodus of miners from Argyroupolis to the new mines. The further dramatic fall in population followed the Russo-Turkish War of 1829–30, when many Pontic Greeks of the area collaborated with or welcomed the Russian army that occupied the area. So as to escape likely Turkish reprisals, the majority of the Pontic Greek population followed the Russian army as it withdrew back into Georgia and Southern Russia, many settling there and joining preexisting communities of Caucasus Greeks that had moved eastwards between the fall of the Empire of Trebizond in 1461 and the 1801 Russian annexation of Georgia, including another community of Pontic Greek miners who had settled in Georgia and Armenia in 1778. Some of the Pontic Greek mining families of Gumushane also settled in Nicomedea, Mesopotamia and other mining regions, from Tiflis to as far as Ak-Dag and the Taurus. During those years tension between the Christian Greek and Muslim population was also growing due to the Greek Revolution and the public reversion to Greek Orthodoxy of many of the Stavriotes, Pontic Greeks who had superficially adopted Turkish Islam in the early Ottoman period but who had remained crypto-Christian in private. During those confusing and troubling times many people became benefactors of Argyroupolis, such as the Sarasite family and the influential teacher Georgios Kyriakidis. Kyriakidis identified the need to extract large sums of money from the churches of Saint George, Saint Theodore, Τίμιου Σταυρού and Παναγίας for the educational needs of the town. Sale of church property as well as donations and consecrations resulted in the erection of a new school at the Frontistirion of Argyroupolis, a school which was to operate until the Exchange (1923). The Frontistirion comprised a three-grade high school, a seven-grade primary school including scholarship classes, and a six-grade girls' school, as well as a carpet-making technical school. Another public building was the library, the Educational Society Kyriakidis, as well as the Metropolis of Chaldia. The Argyroupolitans therefore are very much regarded as having some of the best resources in education, due mainly to their economic rise as a result of mining. After the turmoil and ethnic strife (1914–1923), a few ethnic Pontic Greeks managed to flee to Greece. Those that did settled in the Macedonia region of Northern Greece. A small group which settled in Naousa brought precious items with them from their churches in town, as well as items from the library of the Frontistirion, including rare manuscripts and books. This collection is still in use today and is considered a prized asset of Naousa. Turkish Ministry of Culture and Tourism. "Mosques, Mausoleums and Churches in Gümüşhane". Retrieved 2009-03-05.